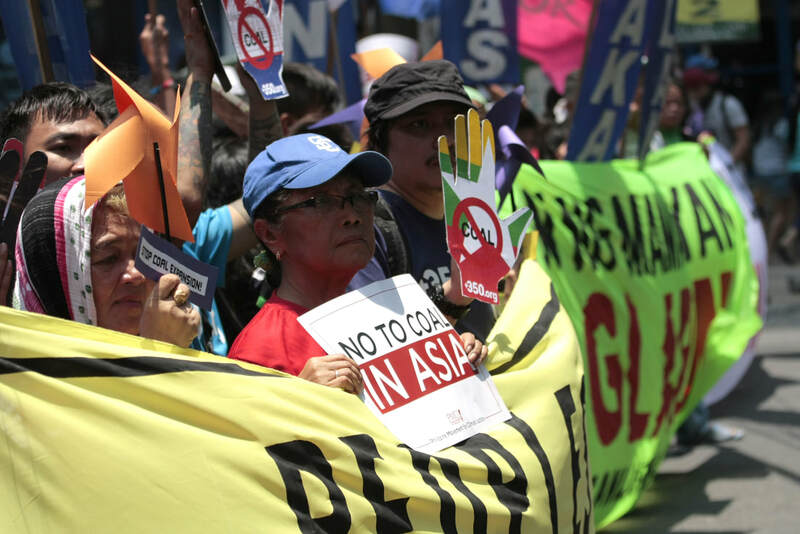 ​Civil society organizations registered their demand for a coal-free Southeast Asia in their meeting with ASEAN leaders today, where they discussed various issues of concern within the region, including the ASEAN’s stance on energy and climate. This was following the protest action led by Philippine groups yesterday, where hundreds protested the incoming coal expansion projects in Southeast Asia, despite the successive suspensions and cancellations of coal projects in the pipeline, and coal-fired power plant retirements across the globe. Arances noted that this position is unacceptable given the status of Southeast Asian nations as among the most climate vulnerable countries in the world, and the immediate effects of coal use in spreading deadly chemicals in air and water resources, leading to fatal diseases and destruction of marine biodiversity. Indonesian Mining Advocacy Network (JATAM) Coordinator Merah Johansyah expressed concern over the massive coal expansion set to occur in Indonesia, which currently has the biggest foreseen coal expansion in the region. Southeast Asian groups denied the capability of coal in fuelling sustainable development, given the various externalized cost attached to coal use. They also expressed optimism with the drastic decrease in cost of renewable technology on a global scope, ushered in by massive investments from India and China. “With the wave of technological advances and the significant falling price of renewable energy, Southeast Asia is standing on a great opportunity to take advantage of its available renewable energy resources, to ensure better health and well-being among citizens, to protect the environment and to pursue clean development,” said Vietnam Sustainable Energy Alliance Coordinator Do Minh Tam of Green ID Vietnam.